Lately Jakarta weather is very unpredictable, like today the weather is cloudy in the morning but then it become very hot in the middle of the day. I want a cold drink to refresh my body, and ice cream itself is not enough. I need something very cold that could make my brain freeze. 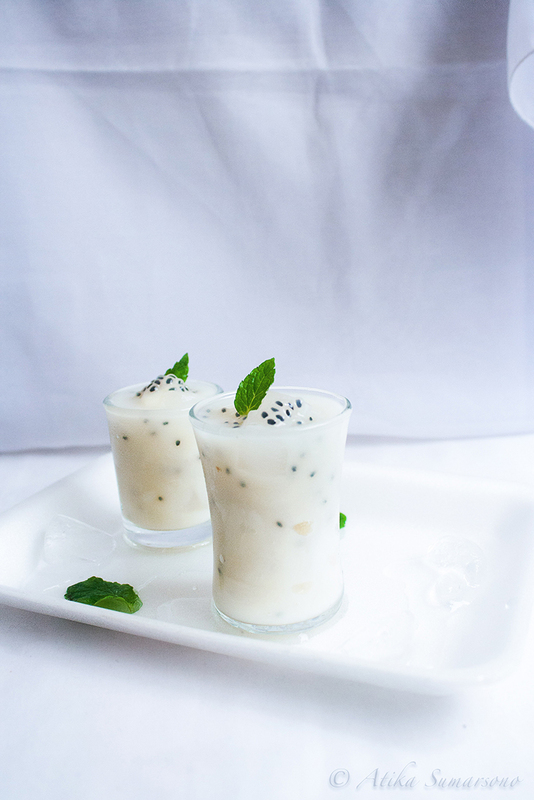 Simple, refreshing, and doesn’t need to be cooked that was I need for this hot summer day. What can more describe the summer in a tropical country like Indonesia better than a glass of fresh coconut. Can you Imagine sitting in your patio with a glass of fresh coconut? 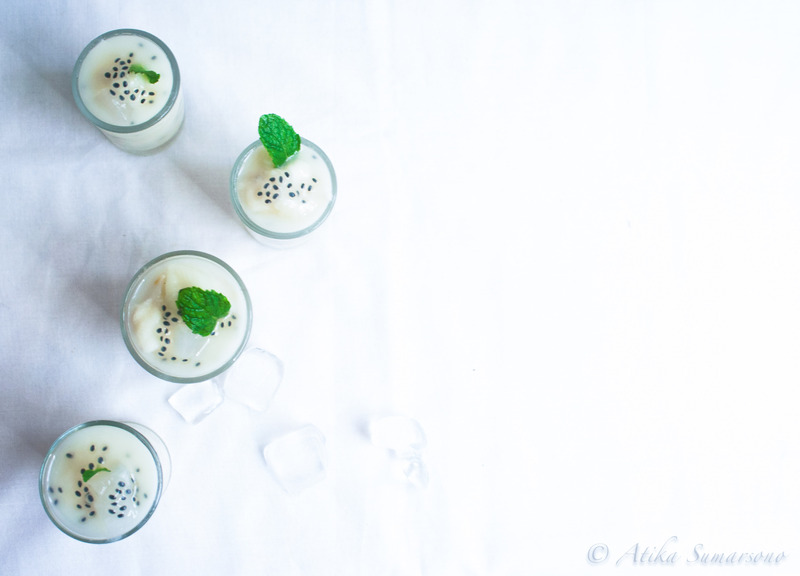 Combine it together with soursop juice to make it special. 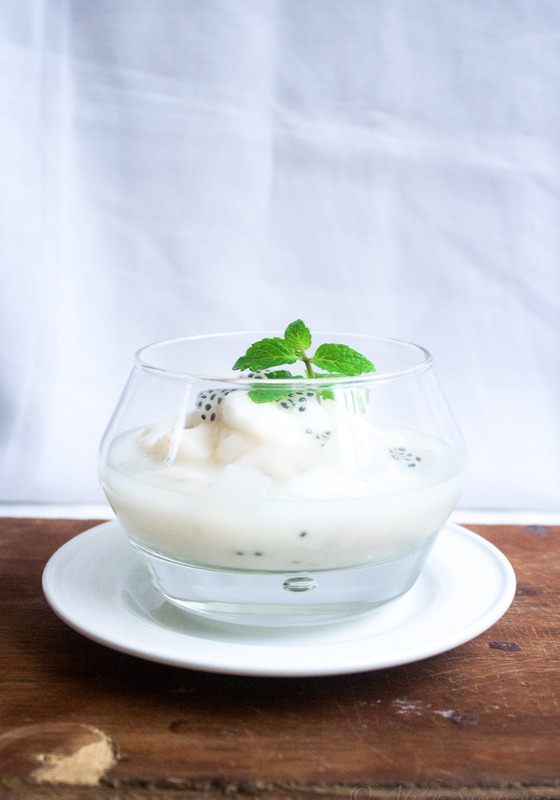 The freshness of coconut combine together with the sourness and sweetness from soursop, add nata de coco and basil seeds for texture. I just blend half of my soursop a because I like my drink still have the chewy texture from soursop. If you can’t find a fresh soursop, you can use frozen or canned soursop. Soak up dried basil seeds with 1 cup hot water and wait until translucent. 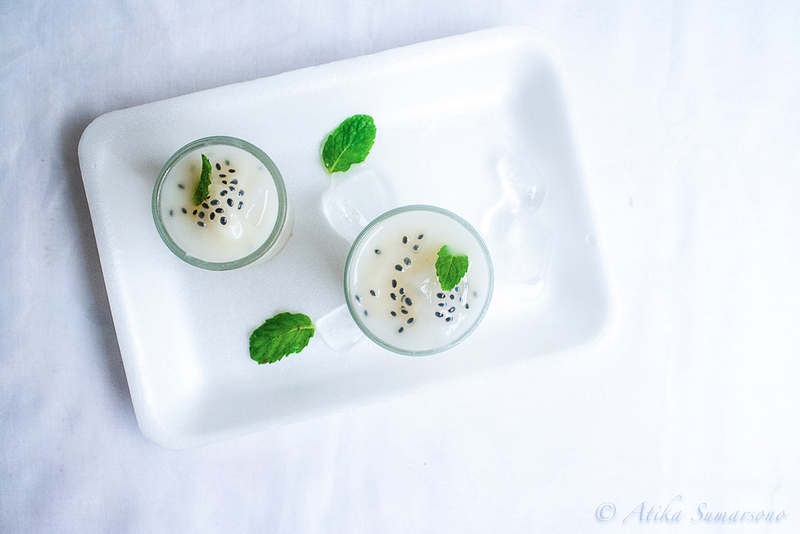 Mix soursop juice, soursop, basil seeds, and nata de coco in a dessert bowl. Add ice cube, simple syrup and condensed milk. hi, The recipe is very interesting and would be fun to taste but I really love the photos and the light you use. Very nice and appetizing. Good luck and thanks for sharing !